At Elmwood Tower, we care about your quality of life and want you to feel comfortable and safe in your home. 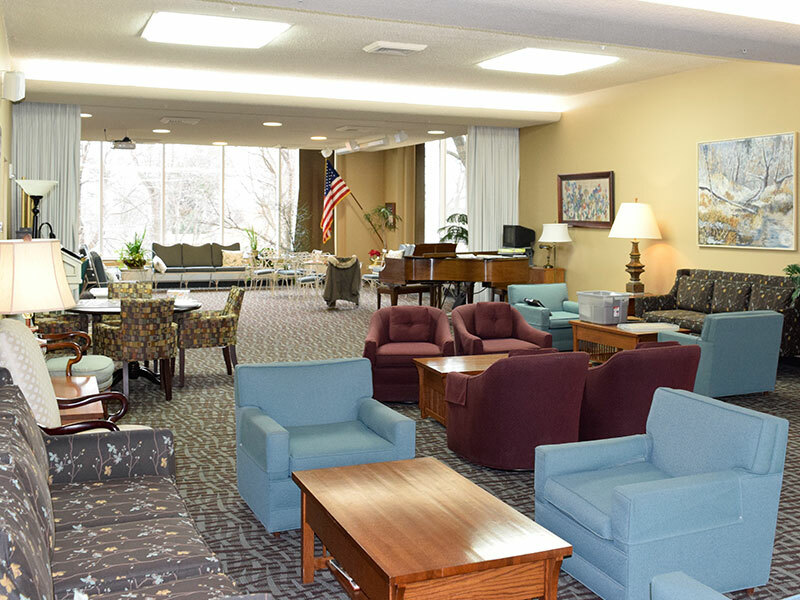 Our community offers independent living for residents 50 years and older with a variety of unique features, activities, and recreation areas. When you aren’t out in the neighborhood, enjoy our environment, and live happily the way you like. 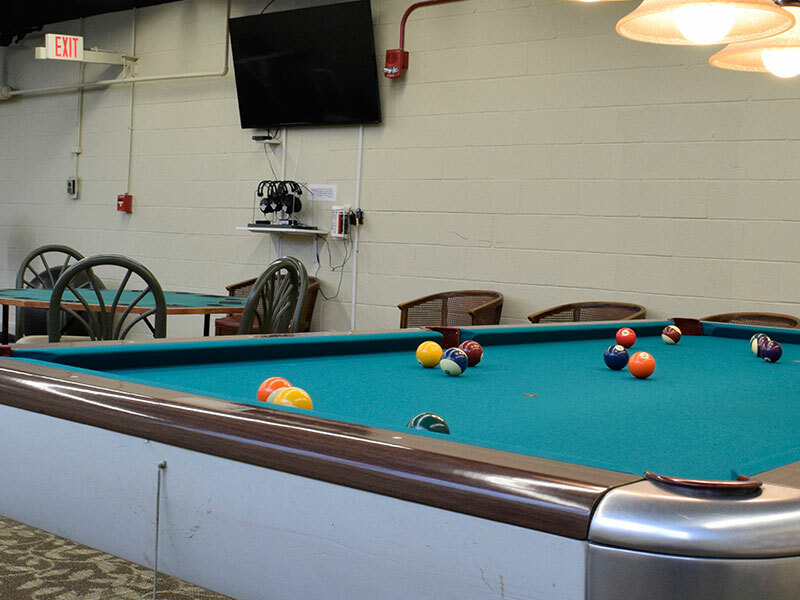 Explore our amenities to see all of the fun and convenience we have to offer, and check out our photos to see how others use their space! Beautiful Views: At one of the highest land points in Omaha, our building offers beautiful views of Omaha. Accessibility: Our state-of-the-art elevator system stands ready to whisk you to your floor…or feel free to give yourself exercise on the stairs. Personal Storage Lockers: Each unit comes with its own locker for personal and secure storage. Elevated & Underground Parking: We have 8 levels of indoor parking and 2 levels of outdoor parking to ensure that there’s always a place to park with easy elevator access. Garden Plots: If you have a green thumb, we have an area for you to garden. Bus Route Access: We are right on the Metro bus route heading to East and West Omaha. Facility Security: You hold the access key to the building and, of course, your own unit’s key. You enjoy 24-hour security that allows intercom authorization for your visitors. Sprinkler Systems: Each unit is equipped with its own automated sprinkler system certified by safety professionals. 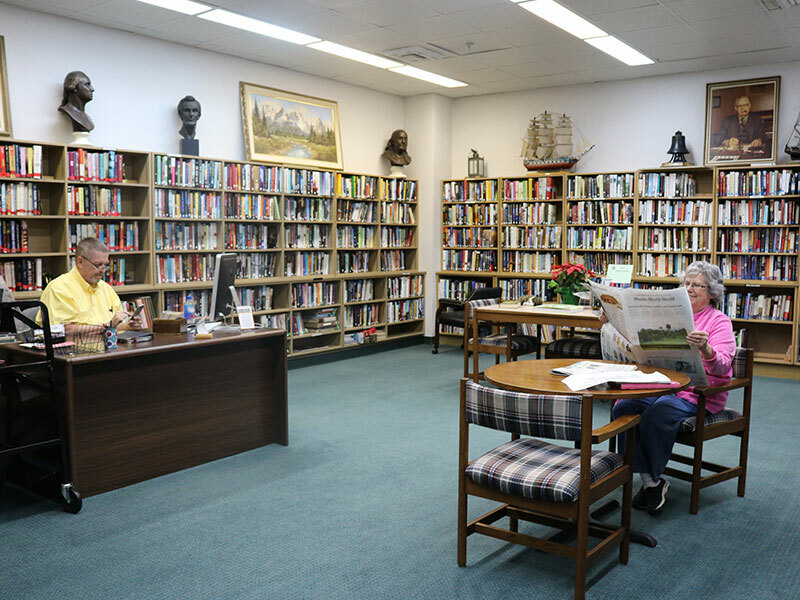 Enjoy a fully stocked library of classic and new literary favorites with a helpful staff of knowledgeable volunteers. Here’s the definition of Community…where you can relax, play cards, and socialize with your neighbors and friends. A great area to entertain guests and celebrate special occasions. 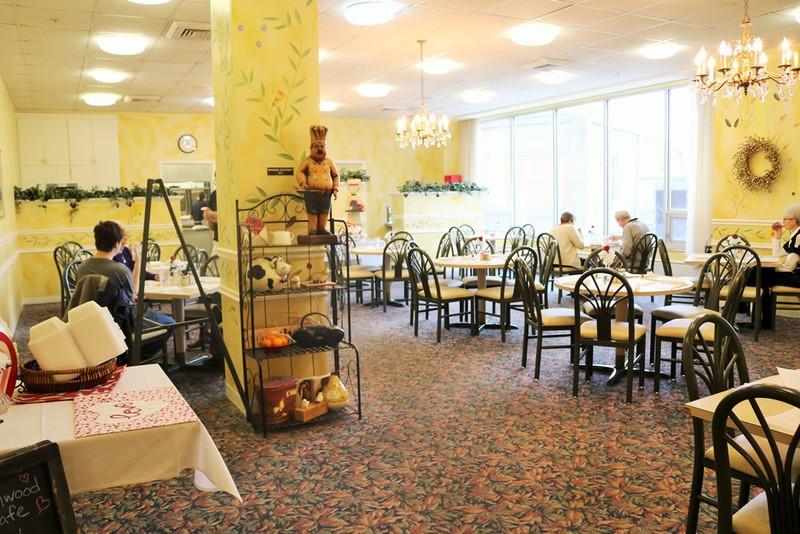 Our professionally managed and staffed dining room provides the utmost in dining quality for our residents and guests. 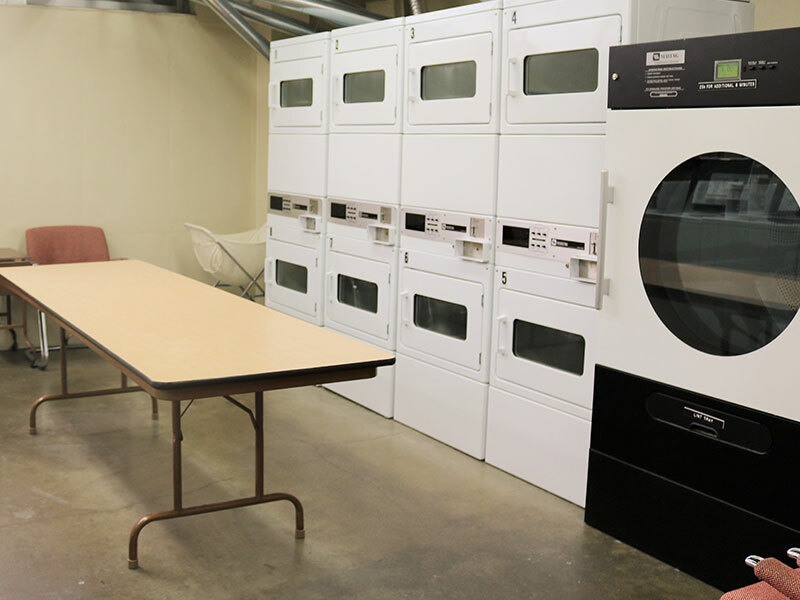 Wash clothes and linens at your own convenience with our quality washers and dryers. Larger units can accommodate your own washer and dryer. 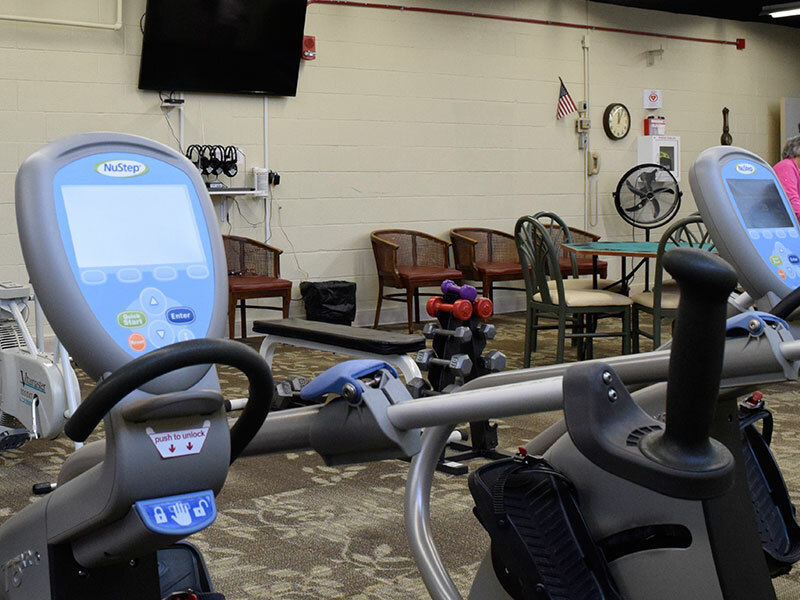 Work up a sweat and stay in great shape with our equipment-filled exercise room. 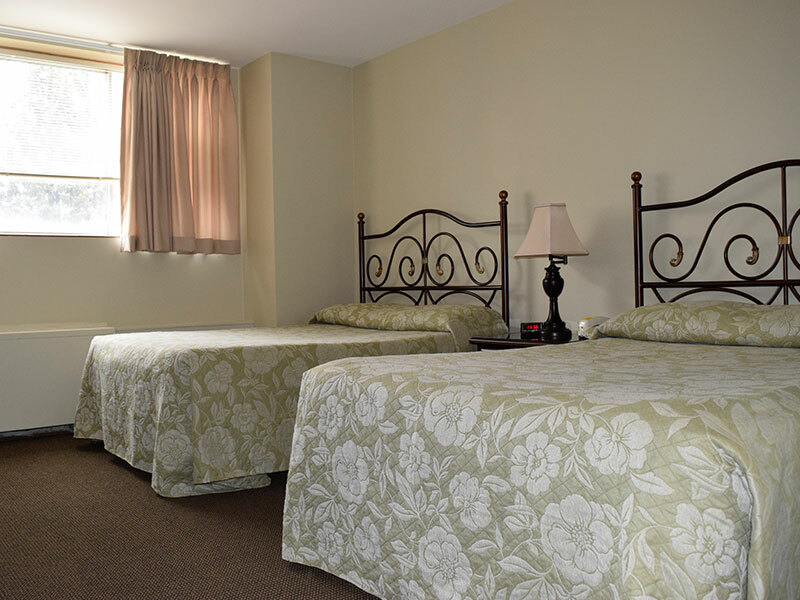 We have comfortable and convenient rooms for your guests to stay when visiting.